Towson dropped its season opener to UMass, Amherst, following a slow start and poor offensive execution; despite sophomore forward Nukiya Moya’s career-high 19 point performance. 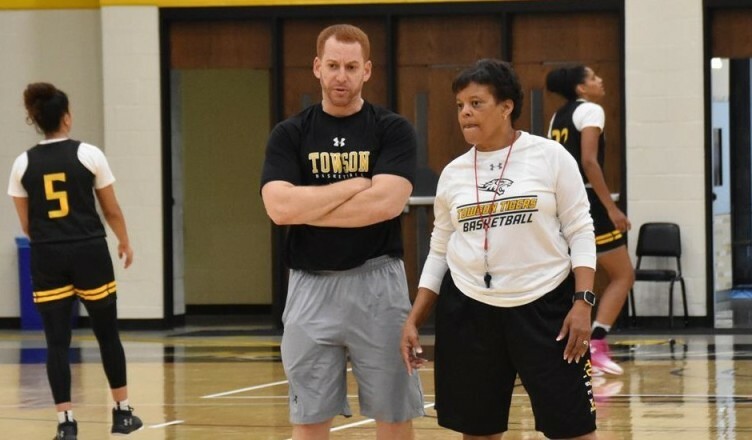 Coming into her first game at the helm of the ship, Towson head coach Diane Richardson knew that the Minutemen would try to slow her team down with zone defense. Despite knowing the challenge coming in, Towson couldn’t manage to break down the UMass defense and did not manage to score more than 11 points in a quarter until the fourth. The Tigers also failed to hold onto the ball. They committed 27 turnovers, compared to UMass’ 15. Despite struggling to score with any consistency until the fourth quarter, Richardson took some positives from the loss. She was pleased with Moya’s impressive offensive showing. Richardson looks to pick up her first win with Towson in its next game. The team takes on George Washington Thursday at 7 p.m. at SECU Arena. Richardson knows the Tigers need to do more to win their first game of the season.